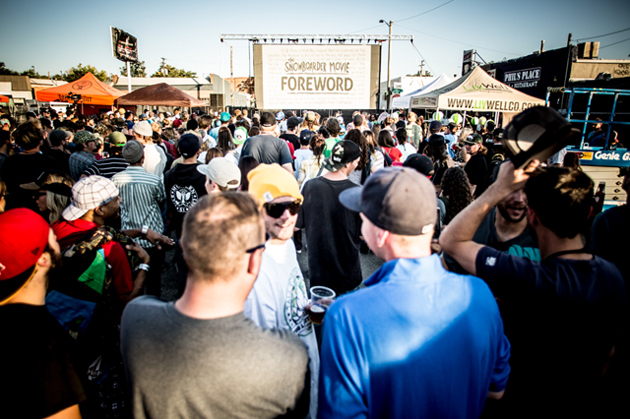 DENVER, Colo. (July 15, 2015) — SNOWBOARDER and TransWorld SNOWboarding are pleased to announce the return of the third annual Snowboard on the Block Festival. On September 12th from noon to 9pm, a section of Downtown Denver will once again transform into the back drop for Colorado's largest snowboard season kickoff party featuring live music, snowboard film premieres, a pro rail jam and skate demos, an enormousgear sale and more. "This fall, with help from our new event partners SNOWBOARDER and TransWorld SNOWboarding Magazines, we're taking the Snowboard on the Block Festival to a whole new level," said Adam Schmidt, Director of Event Experience, Sports & Entertainment, TEN: The Enthusiast Network. "We stepped it up with an expanded and more diverse musical lineup and have confirmed some awesome new films to debut including the world premiere of The SNOWBOARDER Movie: SFD. Pre-sale tickets are available online now for $25 (general) and $50 (VIP)at TicketFly. Tent space and sponsorship opportunities are available to anyone who would like to be part of the festival. SNOWBOARDER Magazine is entering its 28th year of documenting the sport of snowboarding. Since day one, SNOWBOARDER has been the inspiration for riders to go out and shred, indulge in their passion and progress their skills. The name says it all: If you’re a snowboarder, then SNOWBOARDER is for you. The magazine is part of TEN: The Enthusiast Network that reaches more than 45 million active sports enthusiasts each month through an integrated network of magazines, online properties, events and television programming.